I’ve said it before and I’ll say it again. In fact, every review of a Steven Spielberg film ought to stipulate this in its first paragraph: Spielberg is America’s most talented film-maker. Here’s an example of how talented he is. It’s a small one, but characteristic. 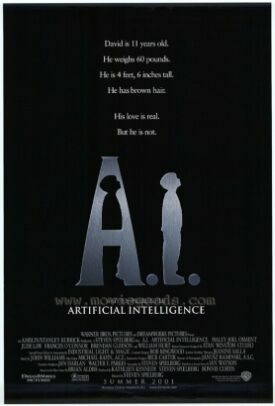 At one point in his new film, A.I. Artificial Intelligence, which was a long-term project of the late Stanley Kubrick and which Spielberg took over when Kubrick died, we are watching the consequences of sibling rivalry between the film’s hero, a futuristic Pinocchio made from advanced electronics, and his human "brother," Martin (Jake Thomas). David (Haley Joel Osment), the "Mecha" (or mechanical) boy, is a new and interesting technological advance, a robot child programmed to love, and so attracts the attention of some of his brother’s "Orga" (or organic) friends at a pool party. One of them shows a boyish curiosity about what will happen if David is cut with a knife. As the boy applies the knife to David’s synthetic skin, David seizes Martin, hiding behind him and crying: "Keep me safe, Martin! Keep me safe!" Orga and Mecha thereupon tumble into the pool together, Mecha clinging to Orga, until two adults dive in and separate them. Martin is brought to the surface, and the camera follows him up. Then it stops, focused on the boy’s foot, which is trailing in the water as we hear the alarmed adults working on him by the side of the pool to restore his breathing. For just a moment the camera remains focused on the sole of Martin’s foot. Nothing moves. The voices become more urgent. Then the foot suddenly jerks and there is the sound of coughing. After several jerks, and coughs, the foot is pulled from the water in an adult embrace. But we know already that the life of Martin will mean the death of the robot boy, whom cunning Martin had already taught his parents to regard with suspicion. The camera then turns back on itself and we see, as from the surface, the Mecha child on the bottom of the pool, not floating like a person but with its arms extended like those of an abandoned doll where his drowning "brother" had been pulled from them. Then we cut away to the next bit of the story, which can now only be some kind of an abandonment of David by his human "parents," concerned for the welfare of their flesh and blood. This little vignette amounts to a master-class in how to tell a story with a camera. But as in other Spielberg films, the brilliance of the technique is not equaled by the profundity, or even the intelligence, of the conception. The first thing we see in this film, for example, is a shot of the ocean as if from a boat. It swells and swirls and looks angry at us. The first thing we hear is the voice of Ben Kingsley saying: "Those were the years after the icecaps had melted because of the greenhouse gases. . ." Oh dear. See if you can guess what’s coming. Now I am myself something of a skeptic about "global warming" — and even more of a skeptic about the hypothesis that it is caused by "greenhouse gases." But it is not difficult for me to put myself in the position of one who believes implicitly in the common journalistic (and, to be fair, the almost equally common scientific) view of the subject. True or not, the prospect of melting icecaps and greenhouse gases are instantly identifiable as subjects of debate today. They are torn from the headlines of 2001. So the attempt to imagine us into a presumably strange future world begins with a thumping reminder that the film is not a product of that future but of the present. Instead of strangeness and otherness we have familiarity. Or, to put it another way, our already fragile credulity about a completely re-imagined human existence is stretched further by this reminder of a fashionable anxiety of our own time. The film is not quite so much of an advertisement for the political and environmental views of Hollywood’s beautiful people, circa the turn of the 21st century as Kevin Costner’s spectacularly awful Waterworld was. The watery landscape here — which features the tops of familiar New York skyscrapers, and the torch of the Statue of Liberty, projecting out of the sea like rocks — is less central to the action or the meaning of the film. 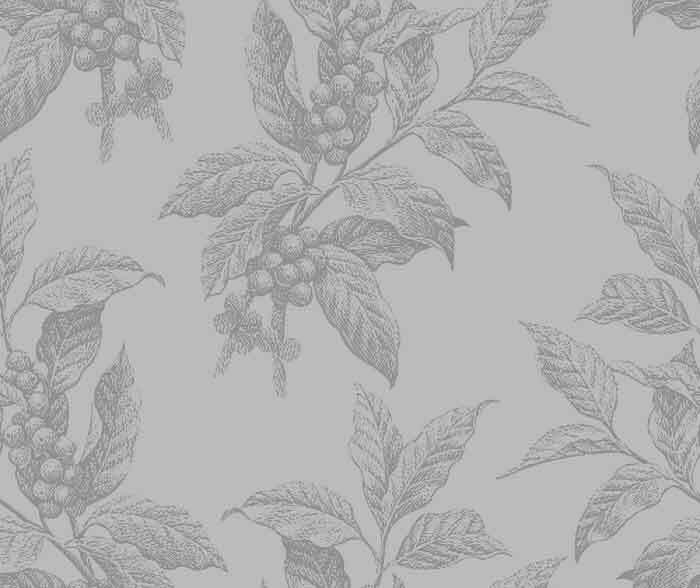 But the two pictures are not quite dissimilar either. Nor, leaving aside this obvious tether to contemporary culture, does the reimagining itself look terribly persuasive. It is just about believable, I suppose, that even ordinary people in their daily lives are economically and socially dependent on robots, though not quite so believable, I think, that this is owing to overpopulation and the licensing of child-bearers. But just for the sake of argument, let’s go along with the proposition that childless couples "yearning for licenses" would be prepared to keep robots in the shape of little boys that had been programmed to love them. What it is not possible to believe is all the silly and portentous philosophizing of the robot’s creators — who make their appearance immediately after the angry ocean and start arguing about what might be our moral duty to a loving robot. The absurdity of this discussion, couched as it is in sesquipedalian academese of the late 20th century (another breaking of the illusion), culminates in the robot’s onllie begetter, Dr. Allan Hobby (William Hurt) saying to the philosopher who has raised the point of what we might owe to a robot who had been programmed to love us: "In the beginning, didn’t God create Adam to love him?" This actually would be a telling remark if the point of the film were to emphasize the god-like pretensions of the robot’s Pygmalion, but Spielberg’s butterfly intelligence can’t stick to this or any other unifying vision. He thinks nothing of abandoning Professor Hobby and his team, scrolling forward for another two thousand years or so and showing us how lovable David at last wins the love of his "mommy" in a world populated by those oviform, wasp-waisted, stick-figure aliens whose form was pioneered by Spielberg himself in Close Encounters of the Third Kind. These, needless to say, are yet another too-familiar relic of the late 20th century, the mother of all dei ex machinis brought in off the shelf from the Spielbergian workshop just to show us that we are now in a world where virtually anything is possible. You want a happy ending to this tale of a much more technologically advanced civilization? These much, much more technologically advanced aliens can arrange it. You want a bittersweet but not unhappy ending? Yes, that sounds better to the artistic Mr Spielberg, so they arrange that instead. But the sentimentality of it is undiminished for all that, and it becomes another example of how Spielberg squanders his gifts. As in the case of E.T., it is as if he had made a bet that he could make audiences flock to see and shed real, salt tears on behalf of creatures who do not exist. He should call his production company not "Dreamworks" but "Empathy Unlimited." There’s nothing to which this guy’s compassion will not extend — except those who persist in believing that reality deserves respect, even in the movies.